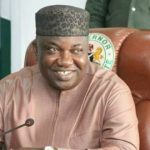 The Nigerian Police on Thursday applauded Governor Ifeanyi Ugwuanyi of Enugu State for his commitment to the peace and security of his state. 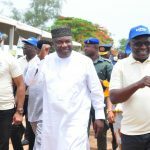 The police equally scored Enugu state high on initiation of innovative programmes aimed at complementing the efforts of security agencies in combating crimes and securing the lives and property of the citizenry. 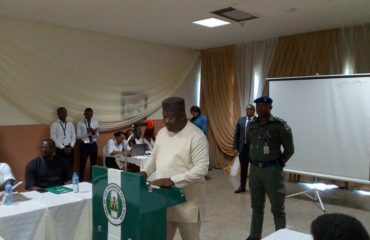 The State’s Commissioner of Police, Dan Mallam Mohammed, made the comments in Enugu during the launch of Neighborhood Endowment Fund and presentation of security equipment procured by the state government to registered Neighborhood Watch groups. 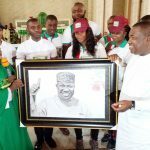 The event was also graced by the General Officer Commanding, 82 Division of the Nigerian Army, Enugu, who was represented by the Garrison Commander, Brig. Gen. L. A. Adegboye; the State Director of State Security Services (SSS), represented by the Deputy Director, S. Alao; the Commander, Nigerian Air Force Base, represented by Squadron Leader, H. E Godos; the Commander, NDLEA, Enugu, Anthony Nkem Ohanyere; the Controller of Prisons, Enugu State Command, Kalu Ukwurie, among other personalities. The police commissioner said the Neighborhood Watch groups will assist the security agencies in their community policing efforts to ensure the protection of lives and property. 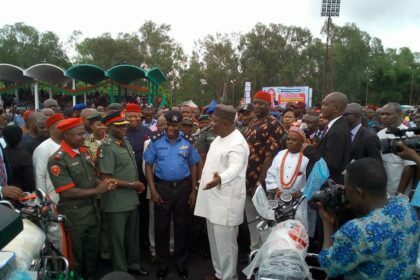 He promised that the police will partner the vigilante groups and the state government to actualize their set objectives. He advised members of the Neighborhood Watch to be law abiding and submit themselves to the various security agencies at various local governments in order to collaborate with them to win the fight against crime and other security challenges. “Your Excellency, I commend you for these giant strides aimed at maintaining peace and security. As you all know, security of lives and property is the first and most important dividend of democracy. 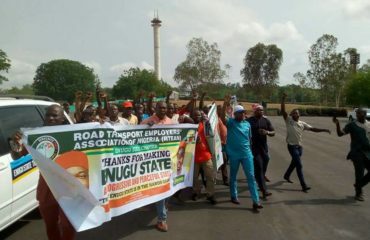 “We are going to give you maximum cooperation to ensure that Enugu remains safe and we are all here to ensure that this administration succeeds. 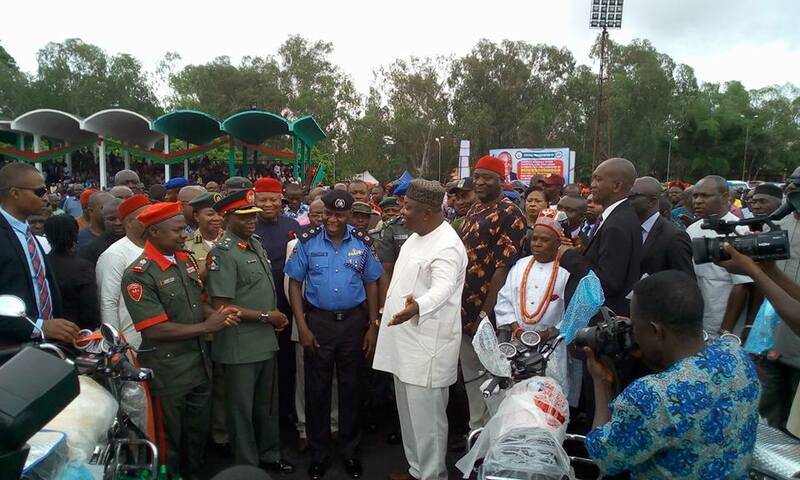 “We should know that indeed Enugu State is in the hands of God”, the Police commissioner said. 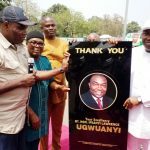 Also at the event, the state chapter of the Christian Association of Nigeria (CAN), speaking through its secretary, Joseph Ajujungwa, commended Governor Ugwuanyi for his good works in the state, describing him as a church-friendly governor and a blessing to the church in particular and humanity in general. “You are church-friendly and we cannot thank you enough. There was a time when we used to sleep in church after night vigils because of crime rates. “But today we can sleep with our two eyes closed and during the night vigil nobody can invade us anymore and we hold our night vigils freely and return home safely. The church is thankful to God because of a man like you”, the CAN secretary said. 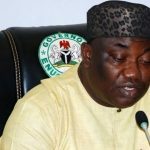 In his address, Governor Ugwuanyi reaffirmed his administration’s commitment to the enthronement of peace, safety and security in the state as its cardinal policy objective, adding that the government has continued to make profound investments to maintain strategic partnerships with security agencies and other relevant stakeholders in order to ensure the realization of its goals. The governor charged all communities in the state to accord the security initiative the seriousness it deserves, urging them to make necessary commitments to ensure that the accruing benefits are felt in their respective jurisdictions. He said the government donated an initial seed money of N100 million to support the security efforts and activities of the communities in pursuit of its objective to strengthen the State’s Neighbourhood Association and Watch Groups. 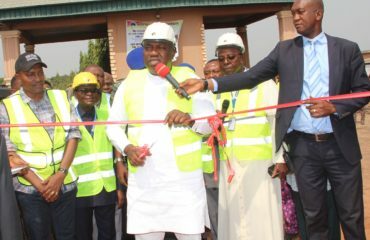 “The gains and achievements that we have made in this direction, have earned Enugu State an enviable status as one of the most peaceful, secure and safest states in the country,” the governor added.